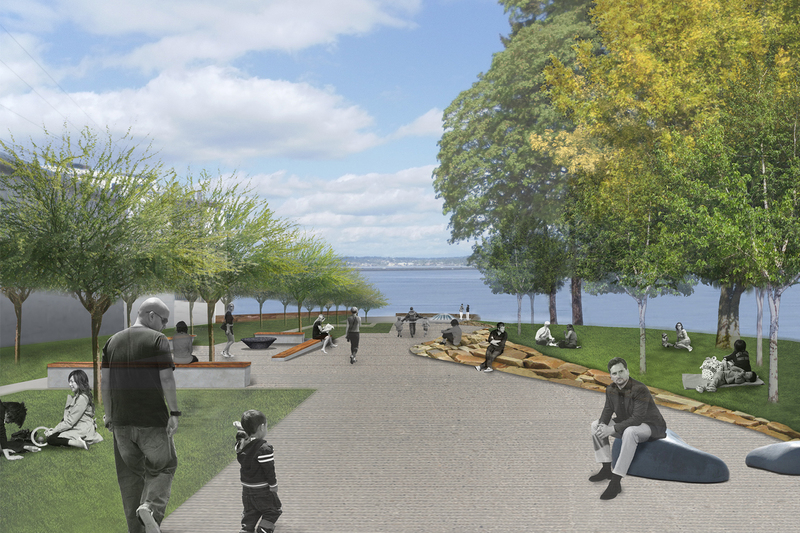 Envisioned as a passive recreation area for Madison Park Beach, the design concept for LOLA Park is evocative of both the recent and ancient geographic history of the site and surrounding area. 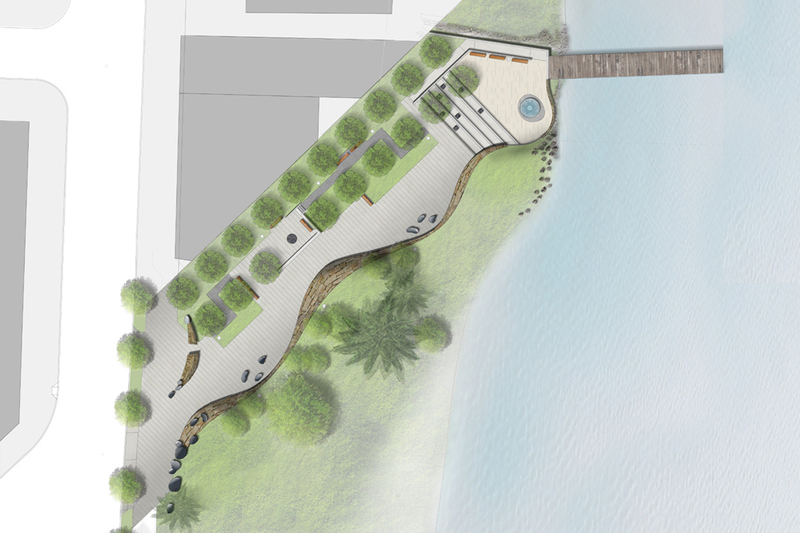 Located on Lake Washington, the main feature of the Park is a sloped meandering stone retaining wall that defines the border between LOLA Park and the beach. 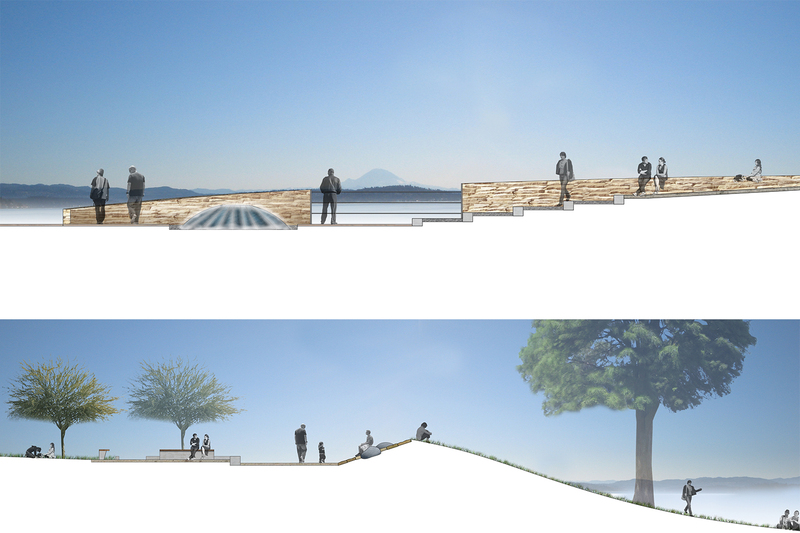 The undulating wall makes a connection to glacial processes that formed Lake Washington and the constant movement of water. The wall is flush with the paving level in some areas to allow people to move from the Park to the beach area. In other areas the wall will reach four feet high, creating spaces for people to sit and relax. Interpretive elements focusing on the ancient/archaeological history of the site will be incorporated along the length of the wall.